Last year at Baselworld Seiko introduced the Zen Garden range of Presage models with textured patterned dials that drew their inspiration from traditional Japanese gardens. This year the simple and serene design cues from traditional gardens are reflected in a series of four new models being added to the Presage line. Two models utilize the 4R57 calibre and come in either a silver dial with the SSA395J1 or a green dial on the SSA397J1. The dials are textured and this contrasts with the date sub-dial and power reserve gauge. 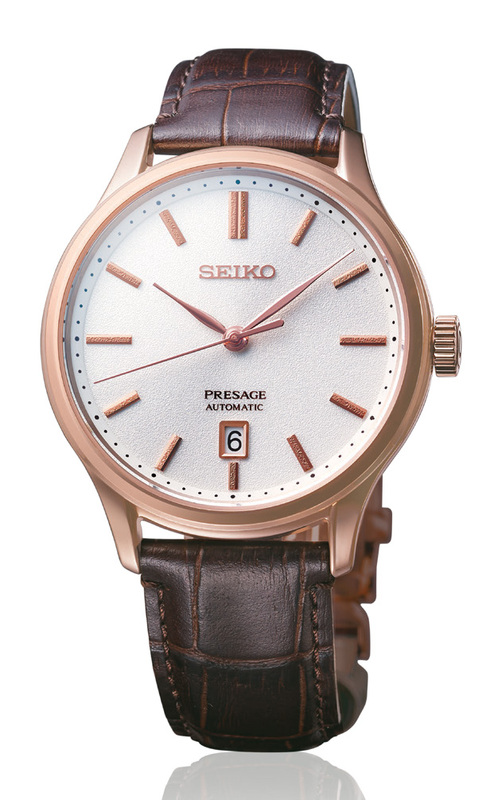 The other two models are the blue dialled SRPD42J1 in a stainless steel case or the white dialed SRPD42J1 that comes in a rose gold colored case. 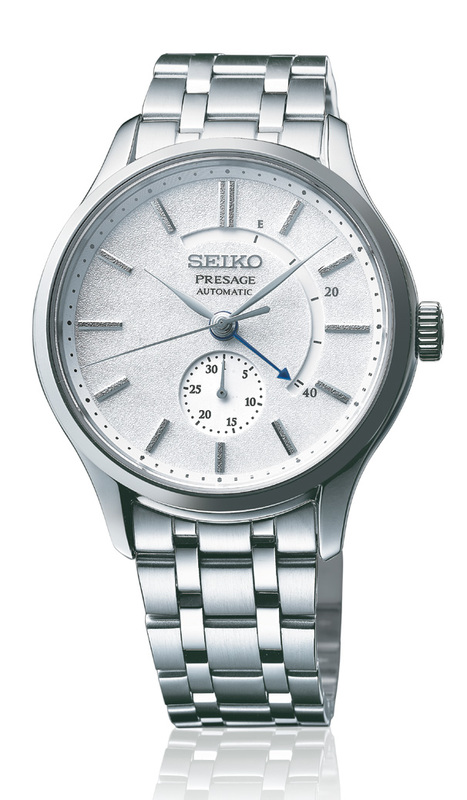 Both models use the 4R35 calibre and have the date window positioned at six o’clock.